Sakshi Malik of India won a Bronze Medal at Rio Olympics 2016 in 58 KG freestyle wrestling. After the win of bronze medal she opens an India account at Rio Olympics. She beats Aisuluu Tynybekova of Kyrgyzstan 8-5 in the play-off bout. Initially she was trailing by 0-5 at a stage and later she seals the bronze by winning 8-5. This is the do or dies match for Sakshi Malik in Repechage and she secures the first ever medal for a female wrestler of India. In the last moment of the game she produced a three point move and lost her opponent by 8-5. It was a very good and neat performance by an Indian freestyle wrestler. She won the fight in Repechage round and maintains a 100% record of India in Repechage. Valeriia Koblova of Russia lost by Japan’s Kaori Icho in the Finals. Before the play-off bout Sakshi Malik beat Mongolian wrestler Orkhon Purevdorj by 12-3. Hope of Medal again alive after the entry of Russia’s Valeriia Koblovain in 58 KG freestyle wrestling final. After losing the crucial match from Russia’s Valeriia Koblova by 2-9 in quarter finals, the hope of medals are ended from her side. Sakshi Malik of India beats Mariana of Republic of Moldova and enters into the quarter finals. India’s Sakshi Malik beats Sweden’s Malin Johanna by 5-4 in the Women’s Freestyle 58kg Qualification. Sakshi Malik is a 23 year old wrestler from Rohtak, Haryana, who competes in the 58 kg category. She won a silver medal at the Commonwealth games in Glasgow (Scotland). 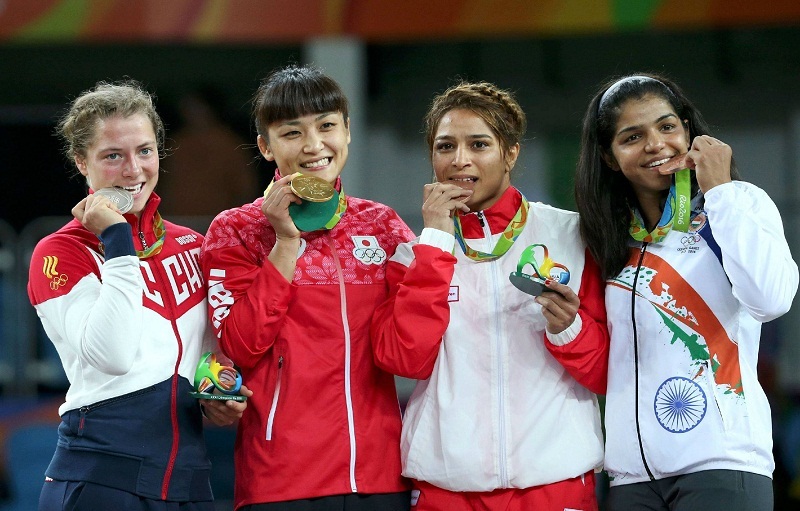 Also, she won the bronze medal in 2015 Asian Wrestling Championships in Doha.